Reconnect with the most powerful fuel of all – the fuel of loving your work. 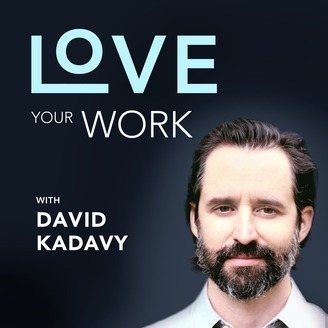 Best-selling author and award-winning designer David Kadavy helps you make it as a creative entrepreneur. Find your creative voice, cultivate the mindset you need to succeed, and be the first to capitalize on new opportunities to make a living making your art. Every Thursday, David presents either a guest or his own learnings from his decade-plus career as a creative entrepreneur. Hear from titans of industry like former AOL CEO Steve Case. Hear from best-selling authors like Seth Godin and James Altucher. Hear from scientists, creators from dancers to a chef to a Hollywood set designer, and visionaries on the cutting edge of creative monetization – whether that's self publishing or blockchain technology. Find out why Wall Street Journal best-selling author Jeff Goins says, "David is an underrated writer and thinker. In an age of instant publication, he puts time, effort and great thought into the content and work he shares with the world." Find out why Basecamp CEO Jason Fried says David has "really good, deep questions, and original questions." 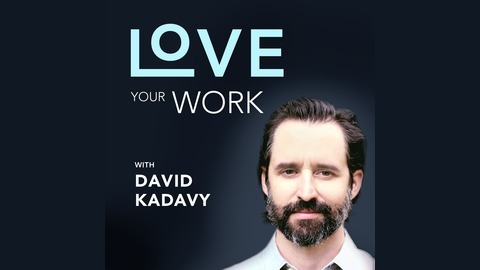 Subscribe to Love Your Work today so you never miss a dose of the inspiration and motivation you need to unleash the creator you already know you are, deep inside. Do you want to love Mondays? If you already love Mondays, do you want to keep loving Mondays? I’m launching a new newsletter that will help you do just that. It’s called Love Mondays, and it’s a weekly boost of inspiration to help you find the mindset to make it as a creative entrepreneur. If you’re already on my email list, you’ve already been enjoying these. Many of them include one of the more than 11,000 highlights I’ve built up over years of reading about how history’s greatest artists and thinkers have carved out their own unique places in the world. Others are the gems pulled out of conversations you’ve heard right here on Love Your Work. Those of you already getting these emails know I told you about how Georgia O’Keeffe decided to quit modeling to double down on art. I’ve told you about how professor Dean Simonton’s work shows that quantity of creative work leads to quality of creative work. I’ve shown you how neuroscientists have discovered that the best predictor of so-called “insight machines” is brain patterns that show a high level of self awareness. Today, I’m going to give you an insight from comedian Steve Martin. If you ever feel like your big break will never come, this will keep you going. What should be our next Patreon goal? Take our survey at kadavy.net/goals.